The Misfit Shine enters a rather crowded fitness tracking market with a selling point that will stand it apart from the competition – it’s fully waterproof. 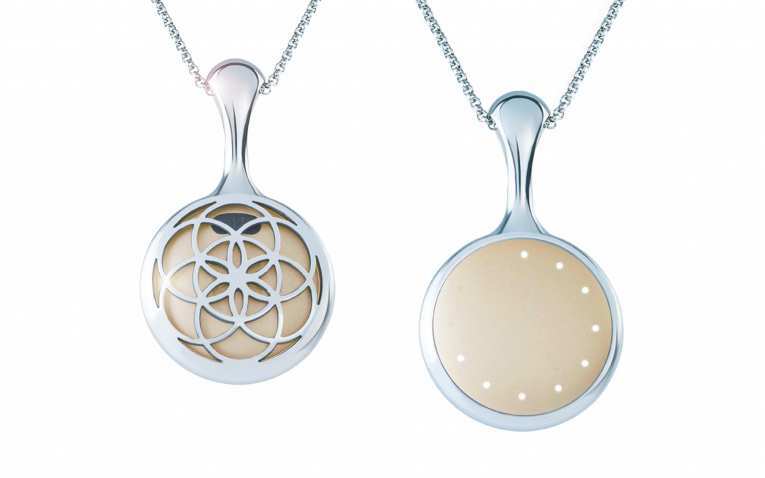 It’s also an attractive all-metal disc that can be worn anywhere on your body using a dinky little magnetic strip that holds the Misfit Shine in place. 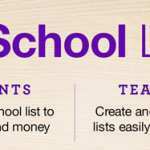 It was launched as an IndieGoGo campaign and achieved its $100,000 project goal 9 ½ hours after it launched. 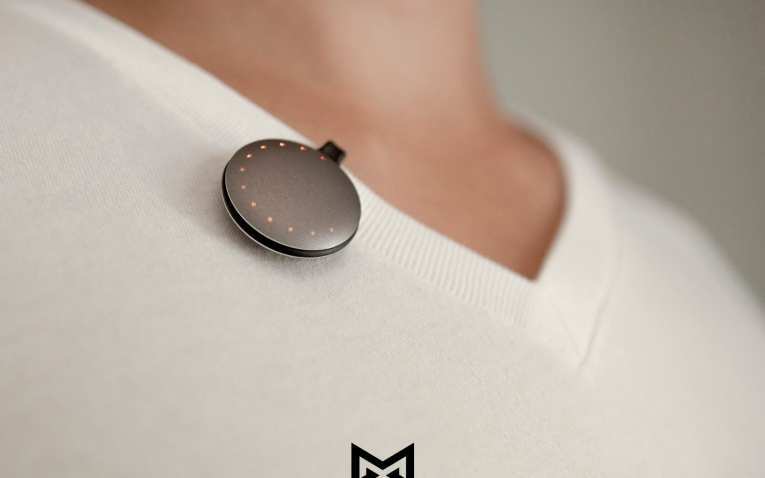 At close, the Misfit Shine had raised its goal eight and a half times over, which just goes to show how interesting the device is. But can the £99 fitness tracker stand out against its popular rivals? 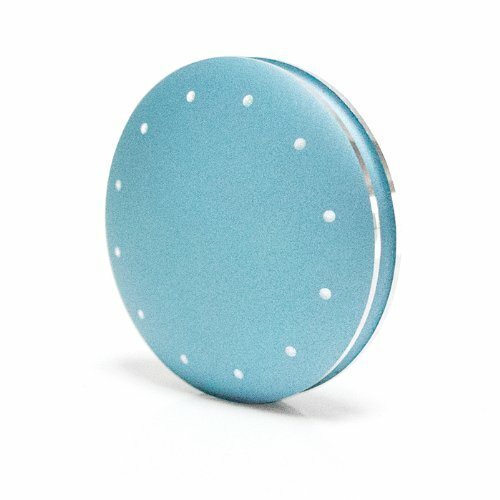 One of the most striking things about the Misfit Shine is its design. Made from aerospace grade aluminium with a distinct groove running around the middle for using the Misfit Shine’s various accessories, it is small, light and compact. Misfit’s choice of material means the Shine only weighs 9g on its own, or 16g with the included wrist strap. 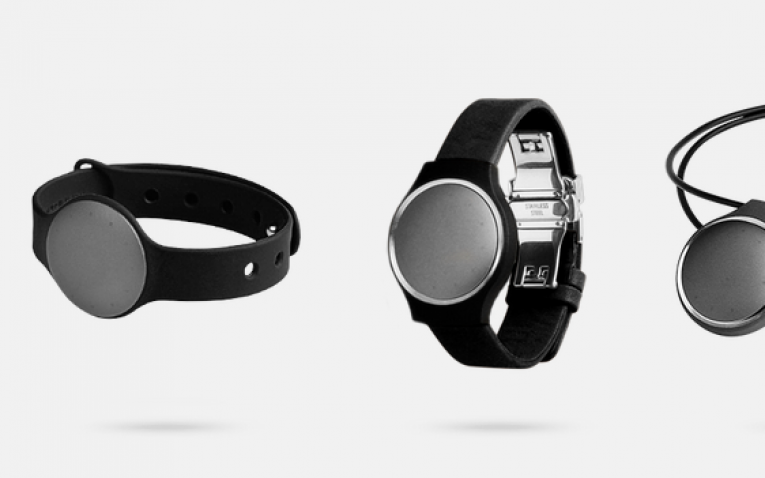 The company, Misfit Wearables, is co-founded by former Apple CEO John Sculley, and there is definitely a touch of Apple in the design of the Shine, especially its simplicity and clean lines. 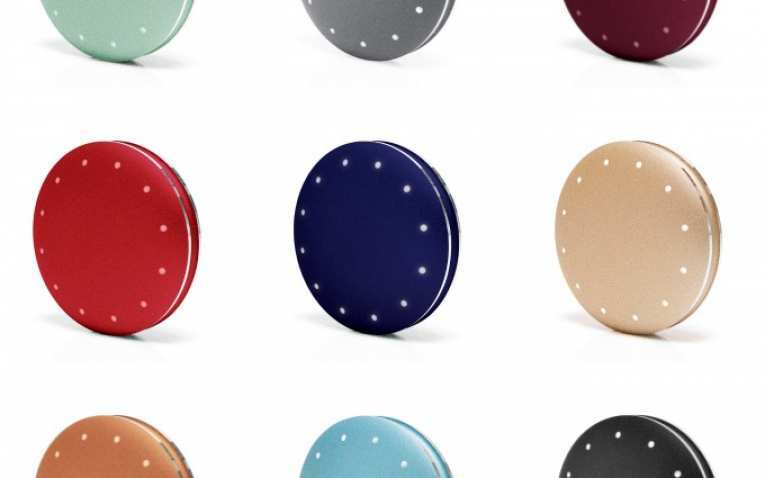 Misfit has made sure the Shine can be worn anywhere on the body, and even supplies both the sports band and clasp as standard with the Misfit Shine in the UK from John Lewis. The clasp is a rubber loop with a magnet on one end that folds over to couple with the back of the Shine. You can attach this to any item of clothing, even a swimsuit or shorts as it is completely waterproof to 50 metres. This is also pretty handy if you forget to remove it from your clothes and it happens to take a washing machine trip. The sportsband is a rubber watch strap that the Misfit Shine simply pops into and is designed to look much more like jewellery than your average fitness tracker, which is one of its key benefits. 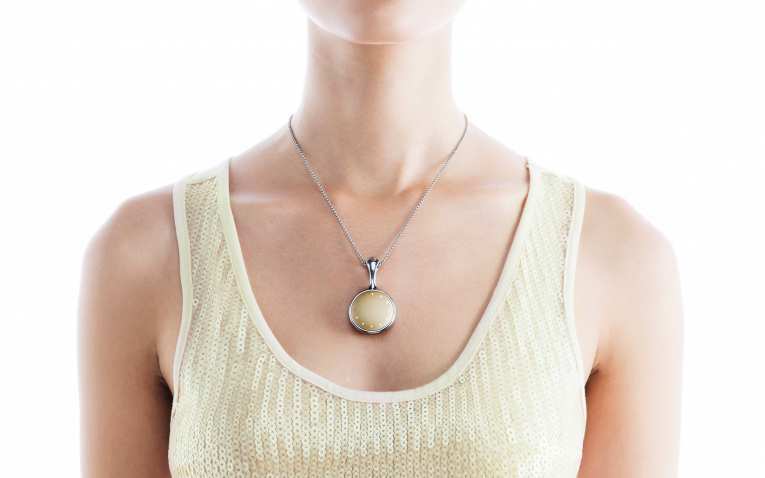 There’s also a leather strap and a necklace option to purchase separately if you feel the need. Its waterproof nature and the fact it is so very light means you can pretty much forget about the Misfit Shine when you’re wearing it, especially when it’s strapped to your wrist. 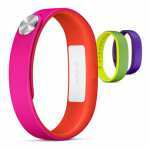 However, it is useful to remember, any fitness tracker worn on your wrist isn’t going to be as accurate as one worn on your clothing as you tend to move your arms more than any other limbs, or you could stop moving them altogether, such as when you’re gripping a bag strap – both of which can cause inaccurate results. This is why Misfit includes the clasp for attaching the Shine to your clothing, which is especially useful when at the gym. When in sleep mode, the Misfit Shine looks like it has no display at all, but with a double tap on its face you’ll be presented with a ring of LED lights around the edge, which are used to indicate your current goal progress and the time. Each LED light is an interval of five minutes or 5 per cent completion of your customised goal. It can be a little difficult at first to work out what time it is (the hour is a solid LED but the minute indicator flashes), but you soon get used to it. Your goal progress is shown in a ring that runs clockwise with your sporting activity until the whole ring of lights is completed, which is a simple but effective way to keep tabs on it without having to look at the app. On the rear of the Misfit Shine is a handy 12 logo, to show you which way up the fitness tracker should be placed in your watch strap for accurate clock readings. The Misfit Shine connects to the Shine app for iOS devices via Bluetooth 4.0 LE, which doesn’t require pairing. Misfit assures us there’s an Android app coming “in the next few weeks”, but there hasn’t been any joy there as yet. 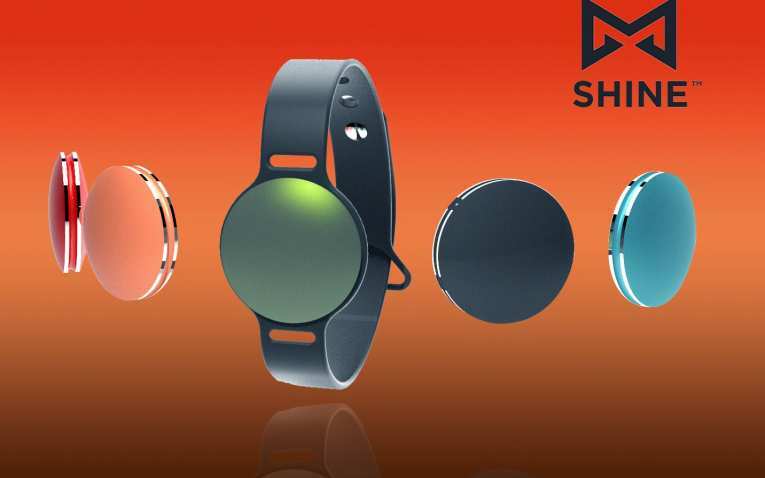 Bluetooth LE keeps the power consumption low and combined with the fact the Misfit Shine uses a standard cell watch battery with a battery life of at least 4 months, you’ll be using it for ages without having to charge it or replace the battery. There are some features that are lacking in the Misfit Shine, like an altimeter to count the number of stairs you climb, which features in upcoming trackers like the Fitbit Force. The Shine app is a very simple but effective way of monitoring your daily fitness activity. Periods of activity are shown in colour coded panels that show the type of sport you are doing and low, medium and energetic patches of activity. There’s a highlights panel that offers you a look at your daily milestones, broken down into a handy activity chart and the aforementioned coloured blocks. You can also take a look at a weekly overview of your activity, which also compares your achievements to the previous weeks. 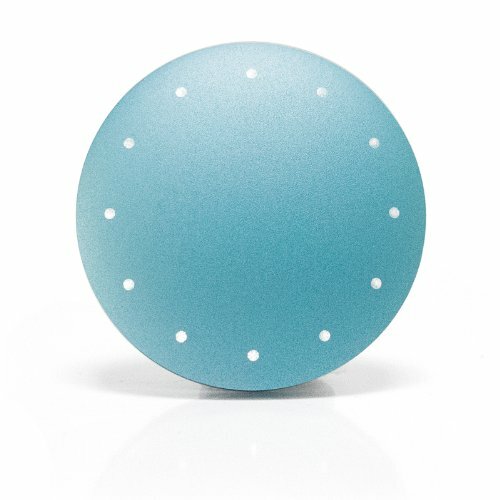 Overall, the Misfit Shine is very accurate and can tell when you are performing any of its recognised activities – walking, running, cycling or swimming. It does tend to be far more precise when worn on your clothes, as when on your wrist it can suggest you were more active than you actually were – but that sometimes isn’t a bad thing. Within the app you can not only personalise your activity goal, but also let it know where you’re wearing the Misfit Shine for more precise data gathering and whether you want the fitness tracker to display the clock or progression lights first. You can also utilise the Misfit Labs Activity Tagging. This allows you to triple tap the Misfit Shine to tell it you are doing a specific activity for more accurate readings. Although this feature is still in Beta, you can use it to tell the Shine when you’re sleeping, cycling, swimming, playing tennis, basketball or football and the results are far more accurate – if you remember to triple tap before you start doing them. The Shine app also presents information on the amount of steps you’ve taken, calories burnt and distance covered in a single day or whole week. 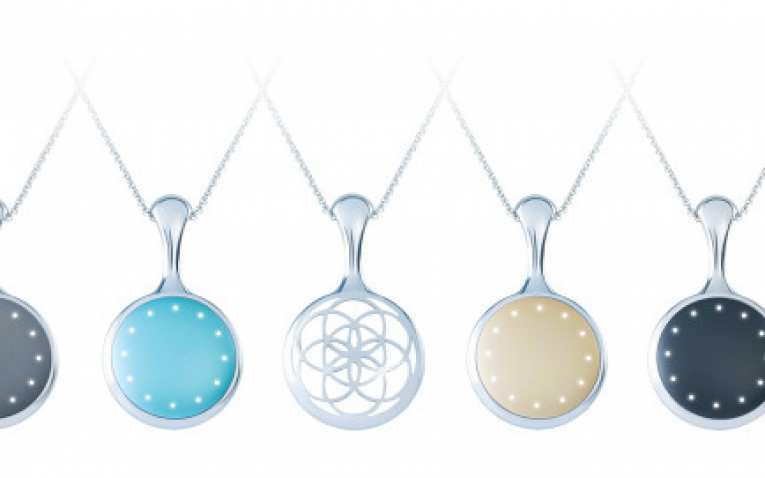 What is disappointing about the Misift Shine is its sleep monitoring functionality. Unless you tell it you’re going to sleep using the Activity Tagging it won’t monitor your sleep pattern whatsoever. We always forgot to triple tap before we fell asleep so we’d wake up with no data for our slumber. When you do remember, it lets you know how many hours of deep sleep you’ve managed to get in between patches of tossing and turning. How accurate this data actually is is very hard to calculate, but they are interesting statistics to peruse in the morning. As the Misfit Shine uses Bluetooth LE you won’t need to pair it with your smartphone or tablet. When you enter the app, the data automatically updates and fills in all the fitness tracking information since you last logged in. it doesn’t matter whether that’s a week or 5 minutes ago, it is all updated regardless. It is very speedy to update, which is a bonus. We will say the data provided is a bit limited, but that’s pretty standard for what is basically a glorified pedometer like its competition. The app is laid out in a straightforward and accessible way and unless you’re a proper fitness freak it is more than sufficient for those looking to monitor their activity. 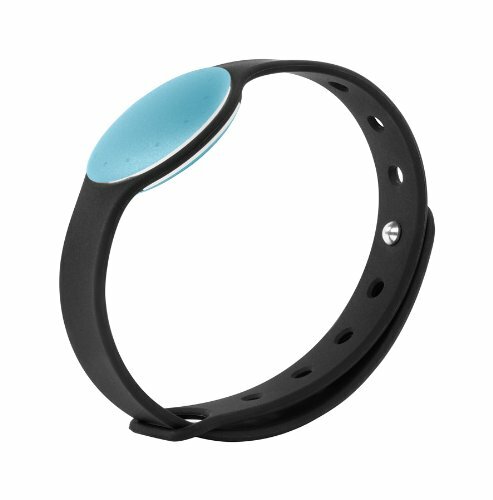 Should I buy the Misfit Shine? The Misfit Shine is a great activity tracker but is a little more expensive than some of its competitors and currently has limited smartphone and tablet compatibility if you don’t have an iPhone or iPad. It’s still a strong contender, but you might still want to consider some of the alternatives. At £79.99, the Fitbit Flex is another successful fitness tracker that offers a great app, a 4 – 5 day battery life and is water resistant if not entirely waterproof. It is a bit basic though and lacks a full display, altimeter and can’t even tell the time by itself. It works with (select) Android devices as well as iOS though. At the top end of the price bracket is the £129.99 Nike Fuelband SE that is specifically optimised for Apple’s device range. 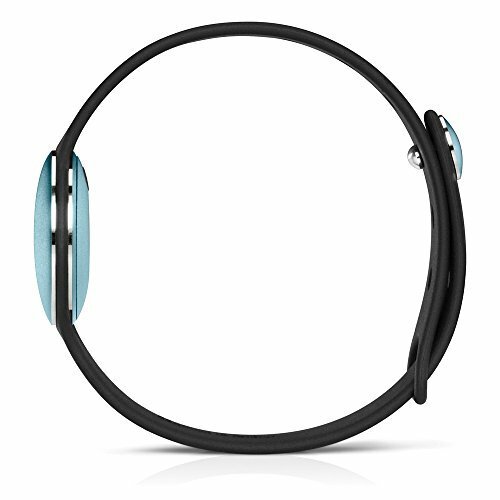 It uses Bluetooth LE and is now water resistant and more flexible for a more rugged device. 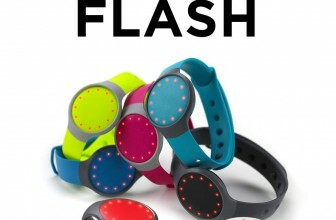 It can offer a lot more information on your wrist than the Misfit Shine, but still lacks an altimeter. 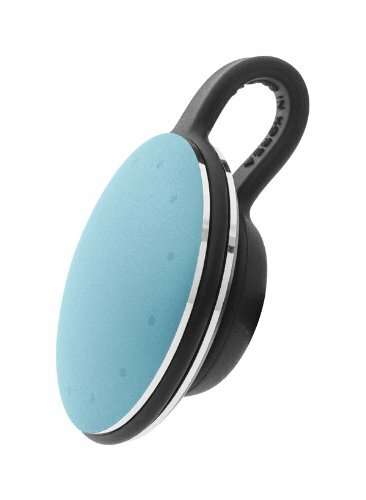 The Jawbone UP works with iOS and Android devices and is the same price as the Misfit Shine at £99. It offers detailed feedback via an app and has a vibrating alarm function alongside sleep monitoring. You can even take pictures of your meal to convert it into calories with the Jawbone UP. If you’re looking for a fully-functional and completely waterproof fitness tracker, the Misfit Shine is a great choice, especially for the fashion conscious. The lengthy battery life just sweetens the deal. Great review. The tapping mechanism on my Shine doesn’t work all time. Furthermore, when I compared the number of steps calculated for a day versus other pedometers including Moves app – there was a different of almost a 1000 steps. Its a nice cool activity monitor – but the accuracy and value for ‘Shine points’ would be a question. With the advent of the M7 co-processor and its apps, I guess Shine will take some beating. Let me know your thoughts!